Composing an alternate score to any film is a dangerous game. Much like the ever-controversial fan-edit, anyone who dares to do it is tampering with an intrinsic element of the art, and in so doing they’re running the risk of sullying it. 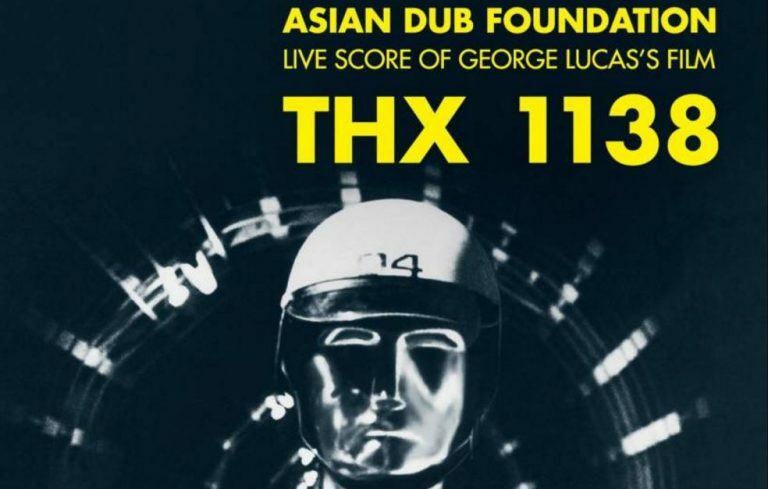 When it works though, it can place the film in an almost entirely new light, and make no mistake, Asian Dub Foundation’s live scoring of THX 1138 works on almost every level. For the unfamiliar, THX 1138 was George Lucas’s first feature film as a director, and it’s about as far removed from Star Wars as it could possibly be. Starring Robert Duvall and Donald Pleasance, it imagines a grim, subterranean dystopia in which everyone is funnelled through a system of factory work and routine drugging, prohibited from relationships and encouraged to talk their troubles away in spartan confession booths, which spout the same recorded platitudes again and again, personified by a blown up image of Christ’s face. It’s not the first time Asian Dub Foundation have done a live score. Their blistering, fiercely political stylings have previously been applied to La Haine and The Battle of Algiers, and in both of those cases there was a certain amount of cultural symmetry with current events. I caught up with Steve, the band’s guitarist and mastermind of the THX 1138 show, shortly before they were due to play at the Corn Exchange in Cambridge. He was mired in a concern that likely wouldn’t even have occurred to even the most savvy sci-fi writer in the seventies – finding a replacement charger for his phone. Once that issue was resolved, he sat down with me in the green room to discuss what it was that buoyed him and the band to select this seminal film for the live scoring treatment. “It’s slightly impenetrable in some ways, not so much dialogue, so there was space for the group.” He said. There are several instances in the film where drugs play a significant role, the populous are shown to have been raised on them from birth, which given the film’s 1971 timestamp, was certainly a contentious issue. “It’s very much a post-hippie era film, the repression is quite polite, it has a polite face to it. It also had psychological behaviouristic elements to it, which was very much an obsession of the sixties, the beginnings of therapy.” But what to the band bring to it, now that we’re so far beyond that time? Well, to my mind, they’ve brought it to the 21st century. As the film played on a screen, cocooned in the appropriately ornate setting provided by Cambridge’s largest venue, the band wove elements of Lalo Schifrin’s original score with dub, drum and bass, electronic and most significantly, the stylings of Nathan ‘Flutebox’ Lee, who you should search for on YouTube immediately if you’re unfamiliar with. Whatever they end up doing, this performance is going to stick in my mind for a long time. Interestingly enough, I took a friend to the show who was unfamiliar with the film and he found the whole experience fascinating, in a bewildering way. THX is far from the easiest film to follow, and with a live band blasting music through a concert hall it’s even harder, but he said that the vibe was so overwhelming it was impossible not to get swept up in it. For my part, I enjoyed the film more than any other time I’ve seen it previously, and the increased percussive prevalence (courtesy of drummer Brian Fairbairn) really ratcheted up the pace of some of the most kinetic scenes, something the film really benefitted from, as well as the dissonant wall of noise which accompanied the frenetic crowd scene. 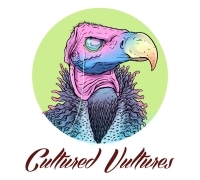 The marriage between the potency of the original material and what ADF brought by expressing their interpretation of it though their own art created a kind of perfect storm, and an amazing experience.